Cost of Overheads (rough estimate) = $4-5? Once I add my amount or rather my labor, it will take me approx 5-6h to make. so with that it would be like $100???????????????? this is only for 20 people!!!!!!! I have it down but im just having a hard time believing it???!!!!!! is it normal for such a cake be this expensive? oh, you know what that makes sense. I kind of float around between $3-4 a slice and having it up to $5 is making me nervous. And do you mean that if I think its too expensive so will they? The best that I can tell you, is be confident in your pricing. 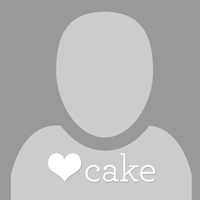 Before I got in to doing cakes and cookies, I had no idea why a cake cost me $140.00. I was confused, and a little mad. Then when I started to do them myself, I understood. They're not just paying for cake. They're paying for the expertise, the time, and so many other things. Please post the cake when you've made it, it is pretty! Thank you. It's a never ending learning experience. Ditto all of the above! Yes, this cake is definitely worth $100....or more! I don't like comparing to a slice of cake in a restaurant either. That is a slab, served on a plate, fancy with some "drizzle" if I am lucky, NOT a presentation item/ centerpiece. 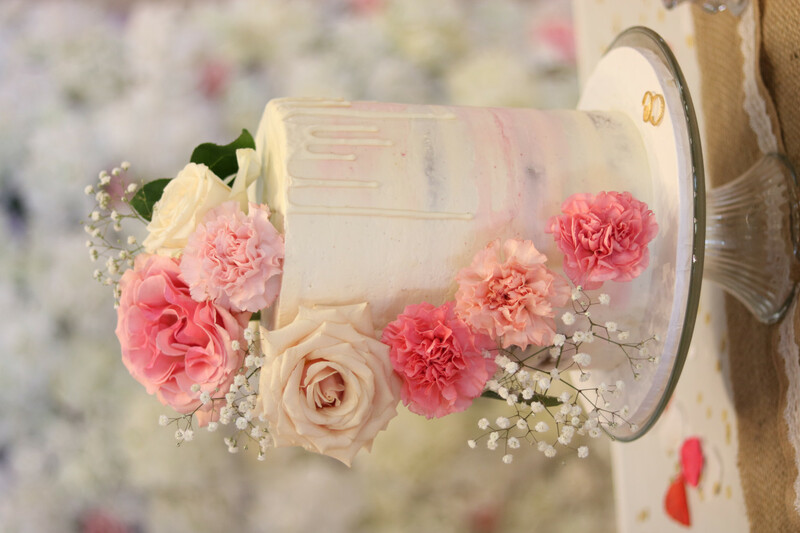 Take a nice table centerpiece (presentation value) then add the price per slice, because that type of cake is both a decoration/ presentation item AS WELL AS dessert. So a Walmart cake with a bouquet of flowers/ greetings/ card = beautiful cake centerpiece....price wise anyway. Don't get me started on taste...lol. HII sorry for the late response you guys are lovely!!! I love you guys so much, I just needed people to calm me down because I can't lower any amount on this. This group of friends has one that won't agree on the price and is trying me for something for $60. And that I would not agree to. The problem is that there are so many things going on with this cake. I asked the bakery I work at. and my manager said that she would charge up to $120. now this is before adding the flavorings. I'm starting to think that my float around $3-4 a slice doesn't make it that much worth it, and maybe I should charge more. Of coarse once I get more experience in this. I also live in Toronto and I would definitely charge more than $100 but it is your sister's good friend so maybe that counts for something. I made 2 similar cakes last week one was a gift and the other one I sold for $150. They were both 4 layers each 6" x 6" high buttercream with fresh flowers. Here is a picture of one. It is her sister's good friend, though, not hers. If she discounts this cake, they will grow to expect it any time they want to order from her in the future. That is a can of worms that I wouldn't open, personally. Since there was just one person arguing about the price the rest decided to exclude her and are willing to pay full price and they are not accepting a discount!!!. In which case I've decided that I would charge $125-$130 depending on if they want real flowers. @-K8memphis thats exactly what some of her friends are saying!! that they want to support me and would rather I charge full instead of giving discount! Those are true friends. Congrats! 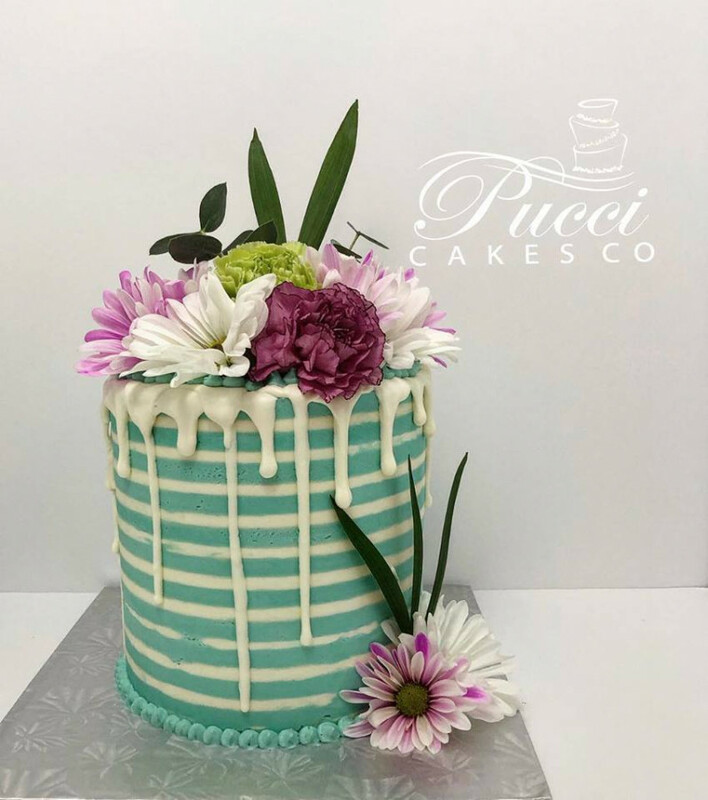 Pucci Cakes - that is an unbelievably beautiful cake - so clean and professional! Do you mind if I ask how to do the stripped icing? momba5 thank you so much. I use royal icing for all my drippings. I find it easier to work with than chocolate or candy melts. I am SO glad I read this post!!! Just had a quote request from a friend for a very similar cake! For 20 people buy they want it tall. Huda, kudos to you!!! I’m in the same situation at times, trying to cover costs but wondering if I’m charging too much. I’m so glad they’re going to pay you properly! do you you know what, I think I want to start doing that too. because 1 w/choc is expensive more so than dark and 2 most people dont care. my only problem with the royal drip is that to my knowledge doesn"t the royal harden once it dries? how would you cut it? I’m glad you charged more! That cake is BEAUTIFUL! This is absolutely stunning! You difinitely gave the value for their money! Im glad as well haha, and thank you so much!! they are so underrated but perfect <3 and thank you so much! !